Buy Now For Only £10! Purchase a performing licence for Sound Bites & More Sound Bites! OR the scripts and a lifetime licence for the material in the ‘More Sound Bites‘ bundle. A licence to perform the material in the book ‘Sound Bites’, for 2 years for £25. A licence allowing an individual, group or church, to perform any of the material in the book ‘Sound Bites’ in perpetuity (for life, in other words) for £50. When you have made your choice, just click on the appropriate button below and you will be taken to PayPal’s secure site. Once you have completed payment, you will receive a PayPal receipt by email. This will be your Performing Licence so please keep it safely. And don’t forget – you can always have the licence in the name of your church or group! 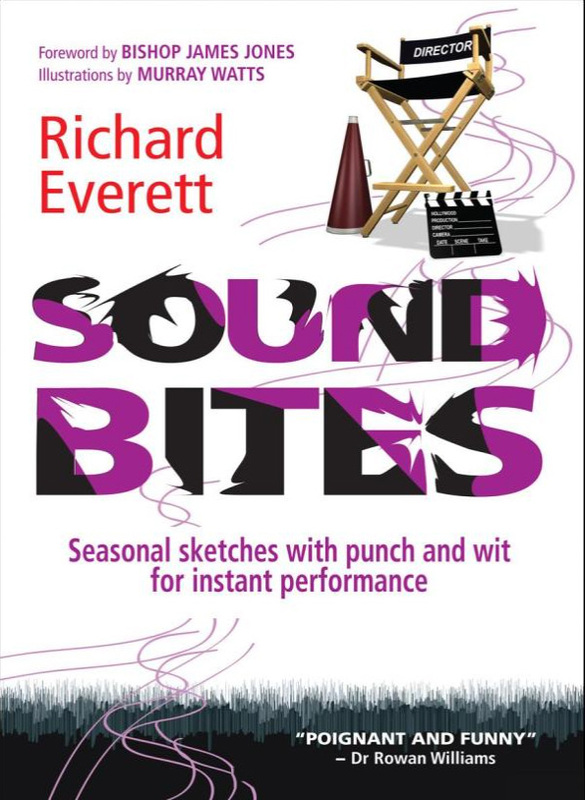 The licences available for purchase on this page entitle the licence-holder(s) to perform live any of the material exclusively contained in the book ‘Sound Bites’ unlimited times in any amateur or non profit-making context for the period represented by the licence fee paid. It excludes all professional rights whatsoever for the use of the material in any context. Permission for all professional and other performing rights must be obtained separately either by applying to Casarotto, Ramsay Associates ( info@casarotto.co.uk ), or via enquiry to this website. It is the licence-holder(s) responsibility to ensure that, wherever possible, the material is correctly credited as “(Title), an extract from ‘Sound Bites’ by Richard Everett,” and that the material is not used in any manner likely to cause offence or misused in any way. Licence fees are non-refundable.